Our brain has two primary modes of learning. Focused and Diffused mode. Focused mode moves through your brains neurological network as if it is following a familiar path. It can move step by step through your mind till you learn the new information. Diffused mode runs through your brain in a more erratic motion. Diffused mode operates as if you need to draw upon many different parts of your brain and existing knowledge to help you understand the new insights. Think of focused mode as like a spotlight with a single sharp focus of light and diffused mode as a floodlight that covers a much larger area. Salvadore Dali had a creative output of surrealist art and talked about his method for thinking about what to paint. He would lie on a chair with a key in his hand and gently start drifting off to sleep while thinking about his desired topic. As he would fall asleep, he would drop the key on the ground, and the noise would wake him. He would then get up and take his gathered thoughts and go paint. The routine Dali practiced was him going from a diffused mode of thinking until he would go and paint at which point he would become focused. Thomas Edison would have a creative output of many rational inventions, but he also spoke about using a similar technique. He would instead hold onto ball bearings. The process was the same for him as he would gather knowledge in a diffused mode then wake and act on it in a focused manner. You do have to build a neural scaffold to gather new knowledge and grow your capability to learn. Think of it as similar to weightlifting where you will require daily practice while slowly increasing the weight to build up your mental muscles. The brain is the most complex system in the known universe. With far more capability of the worlds fastest computers. But we are not conscious of the way the brain works with most of the heavy lifting taking place in the subconscious. Your brain is active even when resting. An old view of the brain suggested that the patterns of synapses would not change much once the brain matured. But we now know that new synapses can always be formed, and others are lost. Synapses are the 20th the size of a human hair. Practice will help strengthen neural connections in the process of learning. Math and science use symbols that have no emotion attached to them and are not analogous to anything in nature so they will need to be practiced more. A thought pattern is when neurons become linked through repeated use. The more abstract the ideas are, the more, you will need to repeat them through practice. Practice makes permanent! When you first understand something, a faint neural pattern is created. But as you practice further you will deepen a neural model. When you are learning, you want to study something intensely and focused and then take a break. During the break, your brain will be in a diffused mode, and your “neural mortar will be able to dry”. Similar to physical exercise the growth takes place during the rest periods. Scientists believe we have two major memory systems, Long-term memory, and Working Memory, you can bring long-term memories into your working memory so you can think about it. Working memory is the part of memory that controls what you are immediately working on and processing in your mind. Researchers now widely believe working memory only holds four chunks of information. We automatically group information into chunks, so it seems larger that it is. Working memory can be considered like a blackboard. This is why your may repeat a memory to help remember it to stop other items invading the four chunks you have available. Long term memorys are more like a warehouse and are stored in different areas of the brain. The long term memory has room for billions of items. Long term memory is important because it is where you store new techniques you are learning. Everything you learn will first be entered into your working memory and to transfer it to your long-term memory will take time and effort. You can make the transfer with a technique called “Space repetition,” this method involves repeating what you are trying to retain but spacing it out over several days. Research has shown that trying to learn something by repeating it several times in an evening it will not be nearly as efficient as doing it less time but over multiple days. This is the same function as “letting your neural mortar dry”. Simply being awake creates toxic products in your brain, when you sleep your brain cells shrink and decrease the space between your brain cells that allows fluid to flow past and wash these toxins clean. Sleep helps you keep your mind clean and healthy. Sleep helps you think clearly, getting too little sleep makes you do worse on tests and perform poorly and sleep deprivation over a long time causes many health issues. Sleep is essential to the memory and learning process. During sleep your brain tidy up the ideas and concepts, you are learning and erases the less important parts of memory you are trying to remember. Sleep helps reinforce the neural patterns that you are working to develop. It has also been shown to help with deeper problem solving. This diffused mode of problem solving has to be activated by doing focused style learning first. This process allows your brain to go over tougher aspects and talk to all areas of itself to help with problems you are attempting to solve. To help learn you want to surround yourself with a stimulating environment and people, but if you cannot do this, then you can get the same benefit from exercise. When you first look at a new concept, it is where you unite scrambled information into one piece through giving it meaning. It is the opposite of mere memorization. By chunking, you can then see how the information relates to other items and subjects. Chunking is like taking many computer files and turning them into a single zip file. The concept of chunks pertain to academic information but is also in sports and music or any other skill that can be learned. Learning a song on a guitar can be considered a large chunk, it involves listening, watching and acting. Grasping a song you may need to break it up into mini chunks of the song and learning certain parts of the song first and then piecing it all together. Piecing all the mini chunks together into a larger chunk is the process of chunking. 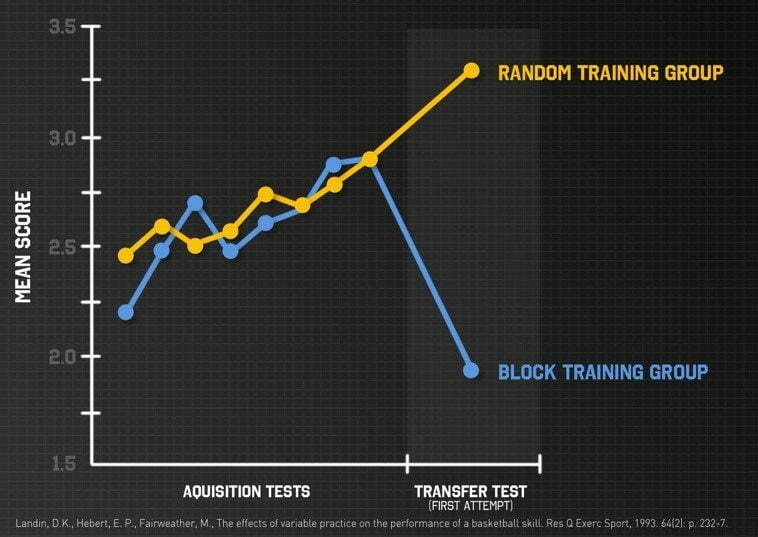 This process can be applied to sports when learning certain techniques. Building your ability to comprehend an entire chunk can be considered as building your cognitive muscles and load. It is important to look at how individual chunks connect between steps and not entirely on why a particular chunk works. It is not just memorization of chunks but understanding why and how the chunks can connect. Focused Attention: When you first begin to learn a technique you create new neural patterns that connect with existing neural patterns, This requires your focus so that your brain is not having its attention divided. Understanding: Understanding the information you are attempting to chunk is also crucial, you can focus and use your focused and diffused modes to get the gist or vibe of the idea. You can still create a chunk if you don’t understand but it can often have a problem fitting into other chunks. Also, just because you can grasp an idea does not immediately lead to expertise, a review is still required. Practice: Learning a chunk will also require understanding the context of the chunk, so you know when to use it and when not to use it and how it fits into the bigger picture. Practice will help you broaden the neurons connected to your chunk. Learning takes place in 2 ways, the bottom up chunking process and the top down big picture process. Both of these are critical to gaining mastery. Recall: Simply re-reading knowledge is not as useful as looking away after reading and attempting to see as much as you can recall. Retrieving knowledge is not just a mindless robotic process, but the recall process helps build neural hooks that knowledge is hung upon. Remembering material when you are outside your usual place of study will also help you prepare for taking tests which will be in an unfamiliar room. The illusion of Competence: Merely glancing at a solution and thinking you know it yourself. You have to have the information living in your memory to be able to recall it later. For instance just highlighting text can mislead you into thinking you have learned and stored the information in your brain. Instead, create notes in a margin that synthesize ideas. Motivation is essential to learning. If you are not motivated about a topic, it is a lot harder to learn. Most of the neurons in your cortex carry information about what is happening around you; it will send information not about the content of what you are learning but the importance of it to you. Acetylcholine, Dopamine, and Serotonin are neuromodulators that control how neurons respond to other neurons. Acetylcholine: neurons form connections that are necessary for focused learning. Dopamine: Our motivation is controlled by dopamine. This helps reward learning and also affects decision making. Dopamine predicts future and immediate rewards so it motivates you to do something that may not be an immediate reward but lead to a long term reward. The ability to combine chunks of information is a skill that many top innovators practice and master. Bill Gates would set aside a week of reading to help build different chunks of information in his mind. Musicians, linguists and scientist can each access large amounts of information in their field. Chunking is not all you need, but it is crucial. It can help understanding different fields as when you know one chunk it can help you understand other chunked concepts in a different field. This process is called Transfer. A chunk is a process of compressing a lot of information to the most compact form. When you have many chunks of information, your diffused mode of learning can help you connect different chunks of information. You can imagine chunks as being pieces of a puzzle that you are putting together. The bigger your library of chunks you have you will be able to see patterns between chunks and find solutions. You have two ways to solve problems, and these are Sequential (step by step) and Holistic (intuition). Most difficult problems are grasped through intuition, it works in diffused mode, because they are normal with topics that are unfamiliar. Law of serendipity: Fortune favors the brave. Only focus on whatever subject you are studying and if you concentrate on the first concept, the following ideas will be a bit easier to understand. Overlearning: This is when you continue to examine something after you master it. This can be valuable in practices that involve automaticity. Be careful of overlearning in a single session. Once you have a concept down in a single session, you do not reap any benefits by going over and over the idea. Instead, use a subsequent study session. Repeating something over and over that you have already mastered can create an illusion of competence on a given area. Instead, continue to focus on areas you do not completely understand with deliberate practice. Einstellung: This is a concept where you have an initial thought, or pre-existing neural pattern may prevent a better idea from being found. This is a sort of rut that prevents your brain from going to a new area where a solution may be found. It is a mental roadblock. You sometimes have to unlearn old approaches to learning new ones. Mastering a new subject involves not only learning basic chunks but how to select and use them. Learning basic chunks can be practiced by alternating between different problems that require different methods of solution. This process is called Interleaving. Interleaving is what builds flexibility and creativity as it leaves the realm of repetition. If you interleave between different subjects and discipline, you can weave your different knowledge chunks together. There is a tradeoff here of becoming a specialist to a jack of all trades. The specialist may be more susceptible to Einstellung but learning many disciplines may not allow you to go as deep in one area. Different areas of knowledge do not have to be strictly academic areas of learning. Chunks are pieces of information that are bound together via use and meaning. They compactly store essential ideas. They can get bigger and complex and are built with focus, attention, understanding and practice. This simple recall is an excellent way to help to learn Chunks. Changing your environment when learning the same ideas will help you be able to chunk ideas and recall in many areas. Building stable long term memory takes time, and you cannot put off until the last minute. Real learning takes time and cannot be done by simply cramming information. That is why you need to avoid procrastination. We procrastinate about things that make us feel uncomfortable; you shift focus to something more enjoyable which gives you a temporary feeling of happiness but can cause long term unhappiness. Procrastination is a bad habit that can influence many different areas in your life. Consider procrastination like poison. It is deadly to you, but you can build up a tolerance by ingesting small doses of it. Four parts of a habit: Habits can be good, bad or neutral. They can have four parts, The cue that launches the trigger. The routine, habitual response that you will fall into after you receive the prompt. The reward you receive from going through with the routine that helps form and cements your habit. The belief in habits gives them power, to change a habit you need to change your underlying conviction. The journey, not the destination: Focus on the process, not the product. Focus on spending the time working, not what will be produced at the end of the time which you may consider unpleasant and cause procrastination. Changing your habit: The only place you need to focus your willpower on changing a habit is to change your reaction to the cue. Recognise your cues and what launch you into your procrastination habit. They usually fall into four categories, location, time, how you feel and reactions. The routine is where you must actively rewire your habit, to do this you must make a plan for what to do next time you notice your cue has triggered your habit. You will need to find out what your reward is for your habit and see what it is and what it can be substituted for that is beneficial. You will need also to change your belief system and believe that your plan to change your habits will work. Life and learning: Once a week write a list of essential tasks in a journal. Then write a daily “to do” that you can easily work on. Write your daily “to do” the night before, so your subconscious can work on the topics. Plan your day, especially your quitting time! Break times are also important to have planned. Eat your frogs in the morning, tackle your most difficult tasks first, so you do not procrastinate them all day. Learning and tackling procrastination has to be done bit by bit like building a wall or weight lifting for muscle. Commit yourself to a routine each day. Human brains have a superior visual memory system. We can look to tap into this visual memory system to help us remember non-visual memories by associating them with an image. We can enhance this further by association the sounds and feel that the image creates. The more memorable of a picture that we associate with a chunk of information they more vividly we will be able to remember it. This visual image still needs to be repeated to help form the neural connections. Handwriting ideas appear to help establish the neural connections the best. You can use flash cards to write down ideas with associated images and feelings, Then shuffle the cards to help interleave these memories into place. Take breaks and re-look at the flash cards at different intervals. Whenever you recall a memory, it changes through a process called reconsolidation. AS we learn new things our old memories also change. This is why it is best to space learning over time than to cram and mass in a short period. Memory Palace Technique: Creating meaningful groups of words and images is a powerful key to remembrance. Using the first letters of each word and creating a sentence with these is a classic memory technique. The memory palace technique involves creating or recalling a familiar physical layout like your house or a castle. This memory of a physical place becomes your memory palace. Add things you want to remember to your image of the house or palace, so you create a familiar memory of the palace and add additional memory withing the different rooms. https://litemind.com/memory-palace/ and Method of Loci. Creating a disciplined system to learn your memory is crucial in building a superior learning system. The best way to grow new neurons to help your learning is through physical exercise. It is by far more efficient than any drug on the market to help you learn; it is important for schools to have P.E and recess as this contributes to the learning process. One of the best techniques you can use to remember ideas is creating a visual image, metaphor or analogy that associates this idea. Being able to use your mind’s eye and visualize has been responsible for many breakthroughs in both art and science. We can learn physical actions by repetition to create muscle memory. But chess masters, surgeons, and fighter pilots have to make complex decisions in split seconds, so they have to shut down their conscious and go by intuition. AS an idea you are already holding in mind (Einstellung) can block new thoughts. Deliberate practice on the hardest parts of a problem will help build your mental muscles to rival anyone who is naturally gifted. The imposter syndrome: Even if you are highly proficient in a topic you feel like you are getting lucky or that you will be found out as a fraud. This feeling happens to a lot of people. More on Imposter Syndrome. 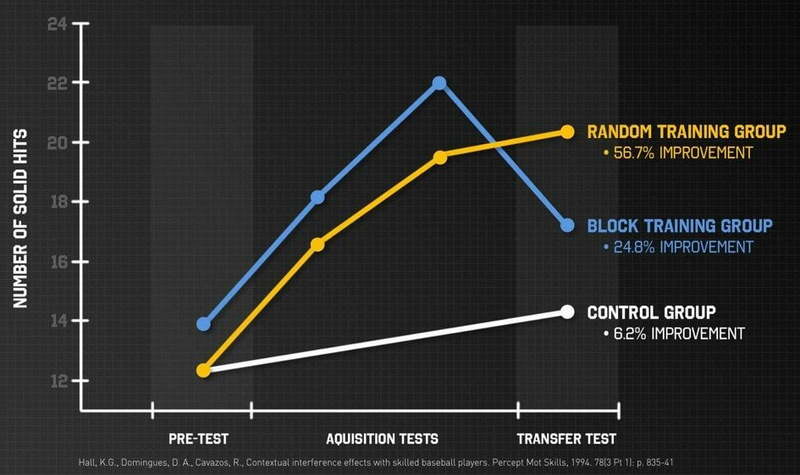 Perseverance can outwork talent if you free yourself from cognitive bias. Teamwork: The best way to catch your blind spots and prevent yourself from fooling yourself is to brainstorm and collaboration with other people who have knowledge of the subject. If you work on your own, you can lead yourself to believe you have a much higher level of competence than you possess. A checklist for tests: Test taking is a powerful learning experience, you retain far more information from taking test and practice testing than from merely studying. The following questions are used to quantify if you have done all you can before taking a test. Did you make a serious effort to understand the text? Did you work with classmates to check solutions? Did you outline every test solution? Did you actively participate in active group discussion? Did you consult with tutors if you didn’t understand something? Did you carefully go through a study guide? Test taking tips: Common knowledge suggests that when taking a test you should first work on the easier problems then move on to the harder problems. Science suggests the best way is to start with the harder problems first, and if you spend a minute and get stuck on this issue then stop and switch to an easier question, this allows your diffused mode of thinking to work and you can go back to the hard problem again. To calm yourself if you are stressed in a test you should place your hand on your chest and breath deeply. If you practice this test into the weeks before the test, then you will be able to call upon this technique to relax much easier. Also, try consciously relaxing your tongue, cover up the answers to multiple choice questions and try to recall the information, face your fears, the day before a test have a final quick look at the material, but you will need all your brainpower the next day so do not use it before hand. Teaching ideas to others will help them strengthen and resonate in your mind. This style is a very dictatorial style of coaching where the coach gives directions, and the students are instructed to replicate the instructions. The coach will then circulate throughout the students and provide individual feedback. Groups who are receiving instruction are set up in an organized pattern with military precision. Often used for drills, warm-ups, and cooldowns. The coach directs the speed, timing and position of how the move is to be practiced. They would signal when to perform the move, and the students would respond. This style makes efficient use of time, as the reputation involved in the learning process allows for maximum time spent performing the move. The students do not have to think to learn the moves and just learn by memory, reputation and recall. The coach will give the task to the students to perform in the same vein as the command style. The coach will still circulate to provide feedback. The students break up into smaller groups and decide on their rhythm, pace and repetitions on how they perform the move. Students are given more control over their actions and have to take responsibility and independence for their actions. The additional responsibility may have an effect on the time spent practicing the move. The coach gives instructions on how to perform the move. Then a team is broken up into pairs or threes. One person in the group is the designated observer in the group. Instead of the coach then having to circulate to give feedback, the observer in the group can be giving constant feedback. In this way, feedback will continually be being provided which should lead to an overall greater volume of feedback.. The coach will give a list of things to check and look for to the observer. The coach then only needs to communicate with the observers. This results in better socialization between your students and they take an active role in their development. The coach is then not required to be physically present for feedback and modifications. But less time will be spent performing the moves because of the additional observer. The coach will give instructions for the move and will give the students a list of things to check during the performance of the move. Students then practice the movement and, assess and compare themselves to the checklist that the coach has given them. The Self check style allows for more time and progression of the move, and the students learn from the repetition and memory of the move. The inclusion method allows for multiple levels of a step so that the skill level accommodates for all of the students and they can all achieve a level of success with the move. Students will choose the degree of skill they want to perform the move at based on their self-assessment of their ability. The coach will then provide feedback on the decision-making process of the students skill level but not on what level the students should choose. Students have the option to take a step back to have success at the move instead of the class-wide level being too high, and they fail. Allows the students to get more involved in their learning process. Some students will have problems choosing what level to perform. Awareness of any gaps between reality and what skill level the student chooses should be a focus of the coach. In this style, the coach will guide the students through a range or series of scenarios and problems. The students will then make their decisions on what the solutions to each of these problems would be. Each part of a move is guided by responses to the previous step. This will mean a lot of time is spent waaiting to get answers and figuring out what the step will be and the coach to give cues. More patience will be required. A lot more preparation will have to be done by ther coach as they will have to prepare on how to deal with the wide variety of responses the students could give. Even then you will still likley encounter unanticipated answers and have to spend time experimenting. The guided discovery style will reduce the amount of time you get to spend physically practicing a move, but it will significantly increase the level of thinking ad cognitive involvement in the student. The students engage in working out what the move will be in response to particular problems. Then each solution that a student comes up with is given value and used while the coach will encourage the students to come up with responses but will not make the judgement of them. The divergent style increases the level of the creativity of the students and gets them to cooperate. The divergent style will be very demanding of the coach as they must have a lot of knowledge on what responses should be encouraged and how to do that. Completely individualized so it well not be suited to everyone and would dramatically increase the workload if done for an entire class. The students can design their own problems and solutions and the coach will guide them and provide feedback on them. The experience of both the student and the coach will be required for this to work and the student to actively engage in the design of their program. Even the individual program will take up a lot of time to plan for the student as many factors and experimentation will have to be taken into account.